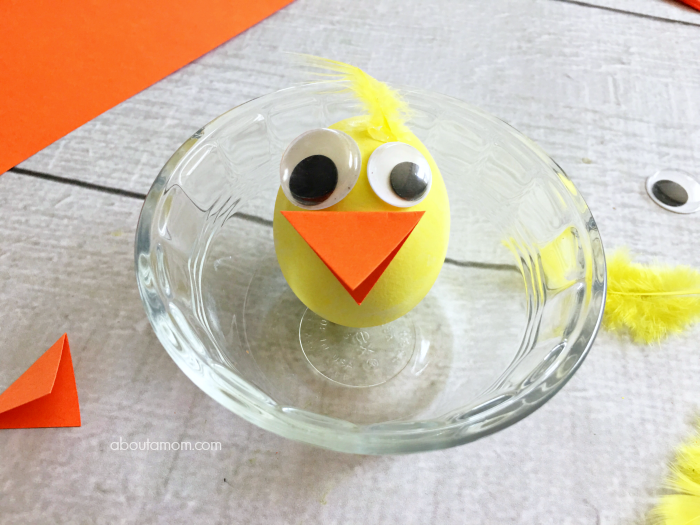 These adorable little Easter Egg Chicks are great fun to make when you are decorating Easter eggs. 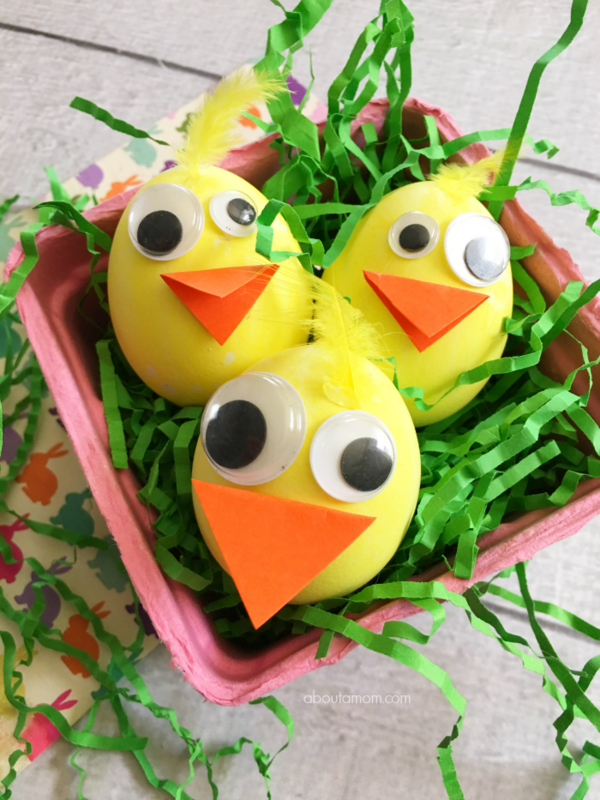 Hard-boiled eggs, yellow dye and a few basic craft supplies are all you need to make these little cuties. They look so real they practically peep. Happy Easter! Related Articles: You might also enjoy these Easter Chick Oreo Pops and Bird’s Nest Sugar Cookies. This Paper Plate Bird Nest craft is great fun too! 1. Place your boiling water in a coffee mug and mix in your yellow food coloring and vinegar. 2. Add a hard boiled egg to your coffee mug and let set for several minutes until you reach your desired yellow color. 3. Dry off your egg and cut out a small diamond shape from your orange paper, fold in half lengthwise, and carefully hot glue to the center of the egg. 4. Glue two googly eyes above the orange beak. 5. Then glue a feather to the top. This is a very cute idea. I love it. What a fun and super cute craft for the kids. These are so cute and so easy, too. It would be a fun activity any time of year, esp to get kids to eat hard boiled eggs!